Holding inaccurate facts that Israel is Apartheid. made up of 8,000 sq. miles. Joint List 18, 19, 20 Sunni Muslim. First Arab woman elected to the Knesset on an Arab party's list. The BDS movement against Israel, started by Palestinians, as explained next, by a few United States groups is incomprehensible. Israel is their only ally and only democratic state in the Middle East. That these groups think only they know what Israel's leaders should be acting on to best serve their population is ludicrous. So far, Israel has managed to protect their people and advance enough to help other nations, especially the United States, in their defense against jihadic terrorists that attack to kill . "The campaign is organised and coordinated by the Palestinian BDS National Committee. The campaign was started on 9 July 2005 by over 170 Palestinian non-governmental organizations in support of the Palestinian cause for boycott, divestment and international sanctions against Israel. Citing a body of UN resolutions and specifically echoing the anti-apartheid campaigns against white minority rule in apartheid era South Africa, the BDS campaign called for "various forms of boycott against Israel until it meets its obligations under international law, "" and they should have said THEIR law, as international law says otherwise. Since the end of WWI, Israel has been treated as rotten as mankind can get. " The Balfour Declaration was a letter dated 2 November 1917 from the United Kingdom's Foreign Secretary Arthur James Balfour to Walter Rothschild, 2nd Baron Rothschild, a leader of the British Jewish community, for transmission to the Zionist Federation of Great Britain and Ireland." In it they promised that they would be for and would help create the Jewish Homeland, something much needed after 2,000 years of persecution and at best, inhospitable acts by Christian nations. Chaim Weizmann, chemist, had helped England by his creation of a better ammunition of which without it, they may have lost the war to the Axis of the German group. The "Balfour Declaration" was later incorporated into both the Sèvres peace treaty with the Ottoman Empire, and the Mandate for Palestine. The original document is kept at the British Library. The shocking fact is that the Jewish National Home was to be created within the first 10 years. Jews had to wait out the 30 mandatory years, instead. Liberation Organization in Cairo in 1964 as a weapon against Israel. The PLO Covenant against Israel, Article 20, says the Balfour Declaration and everything based upon them are deemed null and void. The claim of historical or religious ties between Jews and Palestine does not tally with historical realities, nor with the constituents of statehood in their true sense. Judaism, in its character as a religion, is not a nationality with an independent existence. Likewise, the Jews are not one people with an independent identity. They are rather citizens of the states to which they belong"
Very black and white in their lopsided thinking, is how I see them. The Palestinians, backed by all the Arab nations, have never been willing to make peace. Now, we do have peace with Jordan and Egypt. 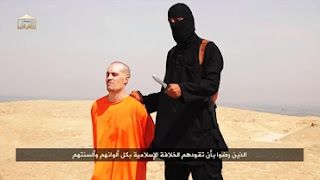 All 3 countries face an even worse enemy, ISIS, and need to stand together against this evil force. So what happened? 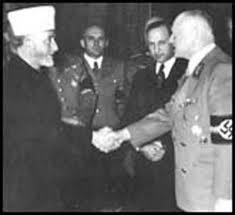 The English mandated personnel kept out Jews from entering Palestine during the uprising of the Nazis in Germany and at a time Jews needed a Jewish Homeland like never before, were turned away, the beginnings of WWII. Those who managed to enter had to do it secretly like thieves in the night, a land that their forefathers had for over 3,000 years, filled with the bones of their forefathers. 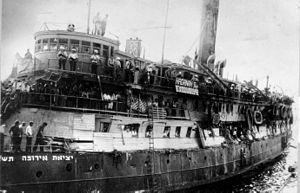 "Exodus 1947 was a ship that carried Jewish emigrants from France to British Mandatory Palestine on July 11, 1947. Most of the emigrants were Holocaust survivors who had no legal immigration certificates for Palestine. Following wide media coverage, the British Royal Navy seized the ship and deported all its passengers back to Europe." Their future ended with their murder there. After the 30 years of waiting through the British mandate, Jews finally announced their state's birth of May 14, 1948, and were met with shooting, the war of Independence that lasted from November 29, 1947, started by the Arabs who refused to accept the UN partition resolution, to 1949. This started with Israel's population of 650,000, and the armies of Egypt, Transjordan, Iraq, Syria, Lebanon and a Saudi-Arabian contingent invaded their 5 minute old country. 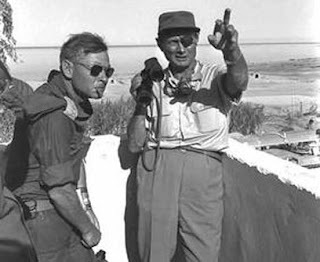 Let's not forget the follow-up wars that showed there was no kindness or peace in the hearts of Israel's neighbors: The Sinai War from 29 October to 5 November 1956; The Six-Day War from 5 to 11 June 1967; The War of Attrition from 1968 to 7-8 August 1970, The War of 1973 Yom Kippur War, attacking on the day the population was in synagogues, praying to G-d for forgiveness of their sins against HIM, the attacks of the PLO which brought on the 1982 war in Lebanon of which I was involved in; the following Intifadas, riots, and Hamas sniping at southern Israel for years. During Israel's total of 67 years of existence now, they have never known real peace, and to everyone's consternation, have managed to be most successful in developing their land and offering their creations to the world. Yet, we now see a slipping back into history that is more like the horrid 1930s in Germany, a despising of Jews again, with the development of BDS. North: Hezbollah terrorists backed by Iran sit in Lebanon with 150,000 rockets and missiles. They're 2nd to al-Qaida in killing more Americans than other terrorists, and have their artillery placed in civilian towns with human shields; which is the way Palestinians also attacked and defended themselves. 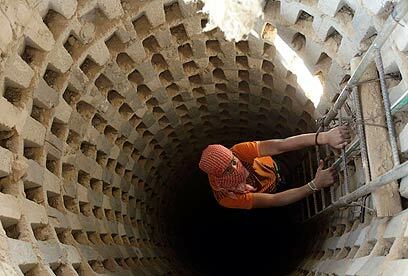 South: Hamas and other terrorists in Gaza have re-armed weapons caches and have rebuilt terror tunnels. Hamas hires more than 1,000 diggers and has diverted cement and lumber coming in for civilian reconstruction to fortify their attack tunnels. This is what we thought they would do with the materials and why they had to stop fleets of ships for inspections who are part of the BDS intelligencia. East: Iran, country who has threatened all of Israel and its people, who is getting ready for the one and only needed atomic bomb on Israel with their testing of long-range missiles that will carry nuclear warheads. They have flown over US naval vessels in the Persian Gulf. They awarded medals of conquest to naval commanders who illegally detained 10 US soldiers. They are supporting terrorism for the end result of destabilizing the whole region of the Middle East, and most likely will use their $100 billion in sanctions relief for the nuclear deal to this end. Tell me what other country on this planet faces the dangers that Israel faces daily on its borders. Then Israel has to cope with BDS from their allies; SOME ALLIES! One of the propositions that BDS people hold against Israel is the Rachel Corrie incident on March 16, 2003 of a young American from Washington who went over to Israel with the purpose of interfering with the army bull-dozing terrorist homes as a punishment in Gaza. She was from the International Solidarity Movement., a pro-Palestinian group from the get-go. She was a willing pawn, used in the attacks against Israel. She had decided in her heart that Israel was bad and the Arabs were good, shown by her actions. "According to the Israeli authorities the demolitions were carried out to eliminate weapons smuggling tunnels." It was a horrible accident and not the soldier's fault that an American stood in front of him while he was doing his job. None of the Palestinians were as foolish to do such a thing as stand in front of a bulldozer in use. It's like standing in front of a train. It's suicide, and that's what happened. Israel had reason to be doing the razing of homes as an act against terrorists. She was not even an Israeli-yet her group from which she came thought they had all the answers. Such naivety! You know that the Arab nations would just shoot to kill anyone breaking their laws both of terrorizing them and interfering with their punishment. All this is said to be the future for Israel, and some people can't abide the Jews they have replaced in G-d's world and have instead, put Jews in a 2nd class distinction along with many Muslim's view of Jews. So they have taken up arms against Israel by the BDS movement. I must say that this is very nice of them not to use live ammunition out of rifles or missiles, but they are fighting against Israel for reasons that are completely misconstrued. If they had any heart and love as they profess to be the only ones with such souls, they would have the minds to understand what's been going on and against Israel. All their energy is coming from pre-conceived ideas and false information and the inability to add 2 + 2. In an international meeting of Presbyterians, they vote to use BDS, and this is taken up as the lead move by the rest of the world, including Portland State U, who are hell bent on doing this, an act that could be calling on a suit in the courts. However, the Methodists were much wiser and are not joining in. 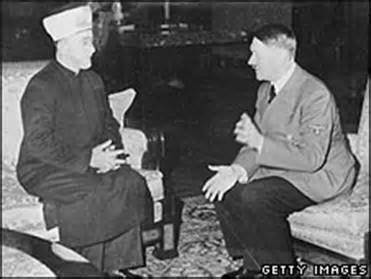 This outrageous movement against Jews, as Israel is a Jewish refuge is dangerous to both the USA and Israel. This is an economic warfare against the only Jewish state in the world as well as being an economic deficit to the American businesses being withheld from their buyers. It harms both. Europe is in the act by forming new labeling guidelines for some Israeli products. Of course the aim is to pressure Israel into "unilateral concessions" outside any boundary on any peace negotiation. The actors want to punish Israel by delegitimizing and isolating her which makes Israel more vulnerable to her every-day security challenges. They help to create a false belief and give impetus to the idea that Palestinian authority leaders can get what they want while avoiding direct talks with Israel. This makes peace almost impossible to achieve.